Would you like to hear my opinion about 3115 Jameson Beach, South Lake Tahoe, CA 96150, the good, the bad, and the ugly for this property? Shoot me an email, and as Paul Harvey said, "and now you know the rest of the story." I pride myself in being honest and frank and doing right by people. No fluff, honest pros and cons from a down-to-earth guy with over 20 years of experience. The property at 3115 Jameson Beach, South Lake Tahoe, CA 96150 is located within in the city of South Lake Tahoe and the SOUTH LAKE TAHOE-11E subdivision. 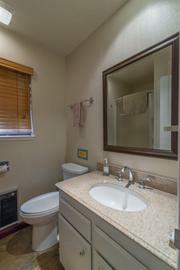 The property was built in N/A and offers 7+ bedrooms 7+ bathrooms and 0 square feet. The Single Family at 3115 Jameson Beach, South Lake Tahoe, CA 96150 is roughly 21.36 miles from Squaw Valley Ski Resort, 23.75 miles from Northstar Ski Resort, 28.9 miles from Truckee, and 17.49 miles from Tahoe City. Beachfront Luxury! Located at the end of a gated road, this top-quality 2014 total remodel boasts 125' lake frontage; 100' private pier with adjustable catwalk - plus 2 buoys. 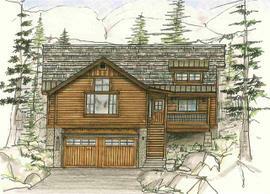 Vaulted ceilings and wood flooring frame views of the sandy beach, Sierra mountains and crystal blue Lake Tahoe. A 4,796 sq. ft. main house offers 3 ensuite bedrooms, media room, family room, formal dining room, additional full bath and laundry room.